Maintaining a high-level business profile in today’s digital age necessitates the use of multiple data cabling services from voice and data to video and fiber optic requirements. Ensuring the correct installation and optimum performance of your business data cabling, can be an ongoing challenge for the typical small business owner. Which cabling company to contract with or where to go when upgrades, repairs or maintenance are required, are some of the pressing questions that don’t necessarily have an easy answer. At Aegis IT Services, we are here to put your mind at ease! We are a one-stop, all-inclusive provider for business data cabling services in Harrisburg, Lancaster and York. Our highly-trained experts can build your business network from the ground up. We have the resources to design, implement and maintain structured cabling systems and equipment from facilities analysis and engineering to installation and maintenance. We can provide IT solutions for all areas of your business. This includes, but is not limited to audio, video, data cabling, surveillance and security. We can advise you on the best and safest cabling options for your specific business environment, and we have the trained experts to ensure professional installation and maintenance of your equipment. 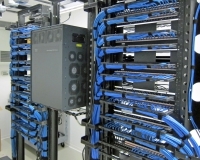 Whether your small business is a fledgling start-up determining its IT requirements or an established company in need of comprehensive IT overhaul and upgrading, we have the highly-trained professionals and resources to design, install and maintain your cabling requirements from the ground up. Given the multifaceted nature of today’s typical office environment and with so many cabling service options to choose from, it can be overwhelming to know where to start. As a one-stop networking cabling company, Aegis IT Services removes the complication from the equation. We don’t outsource any of our work, so from consultation to maintenance, you’ll work directly with us every step of the way. The cabling network of your small business is its bedrock of success. Once you’ve adequately attended to your business cabling services and have included a professional maintenance service, you can rest assured that you will not be left behind when it comes to optimum digital performance and competitive edge. As a leading business data cabling service provider in the Harrisburg, Lancaster and York area, Aegis IT Services guarantees your business IT cabling needs will receive our prompt and professional attention every time. For premier design, installation and maintenance of all your small business cabling requirements, call us today at (844) 277-4811.